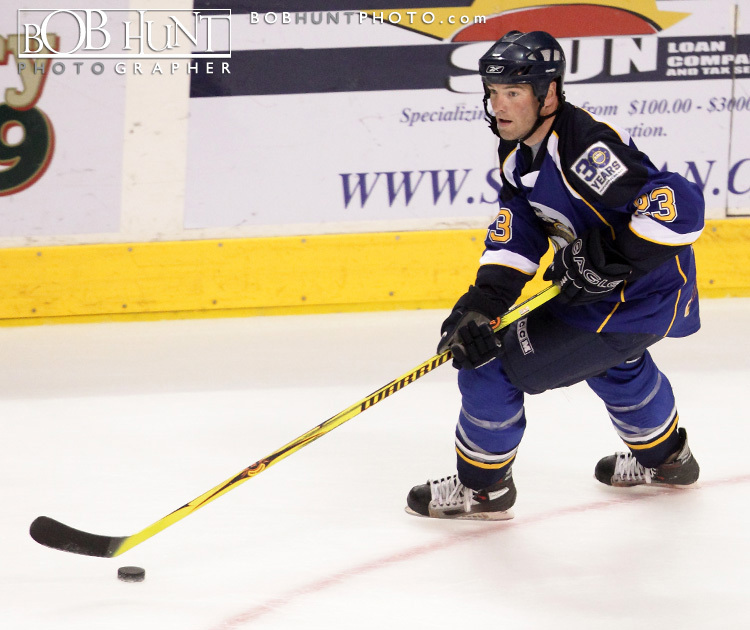 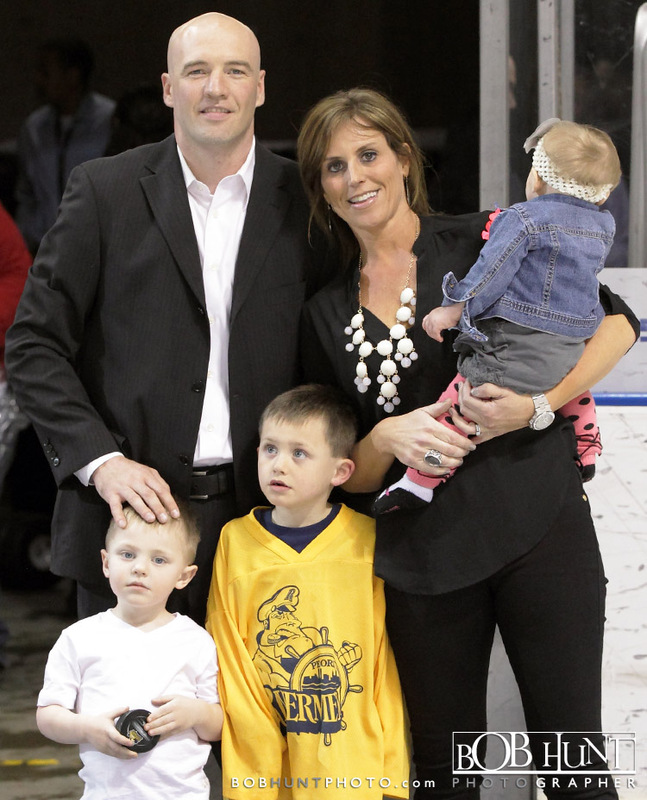 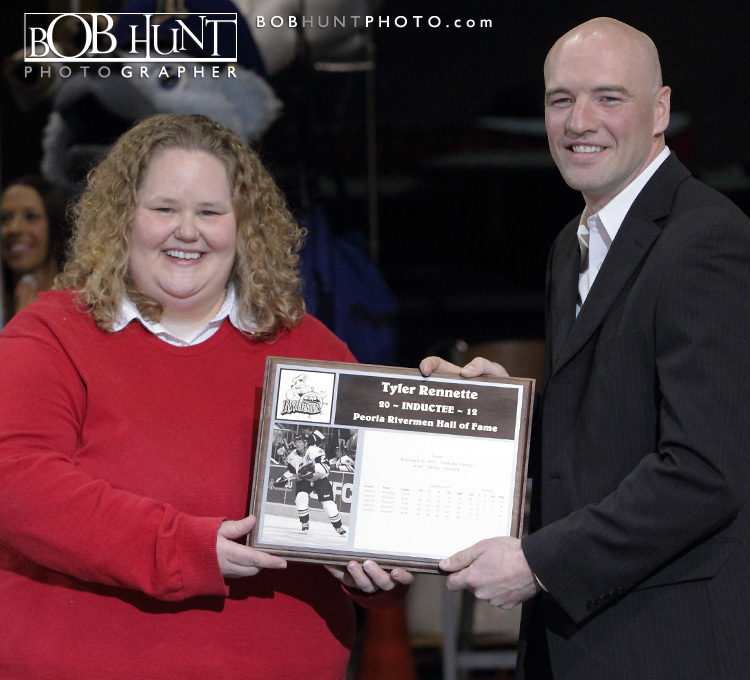 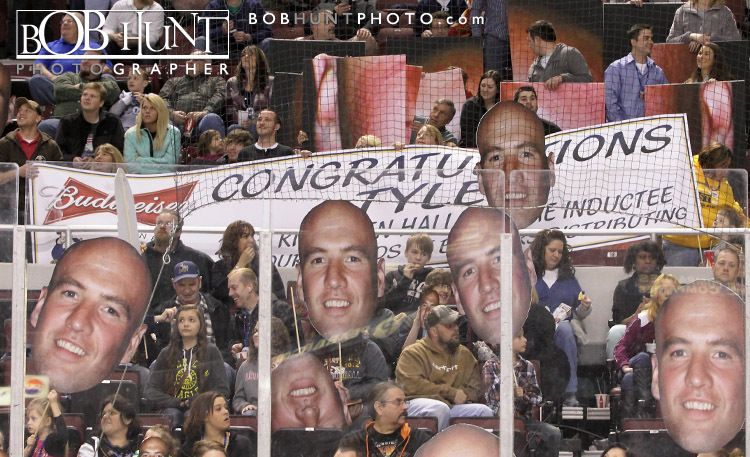 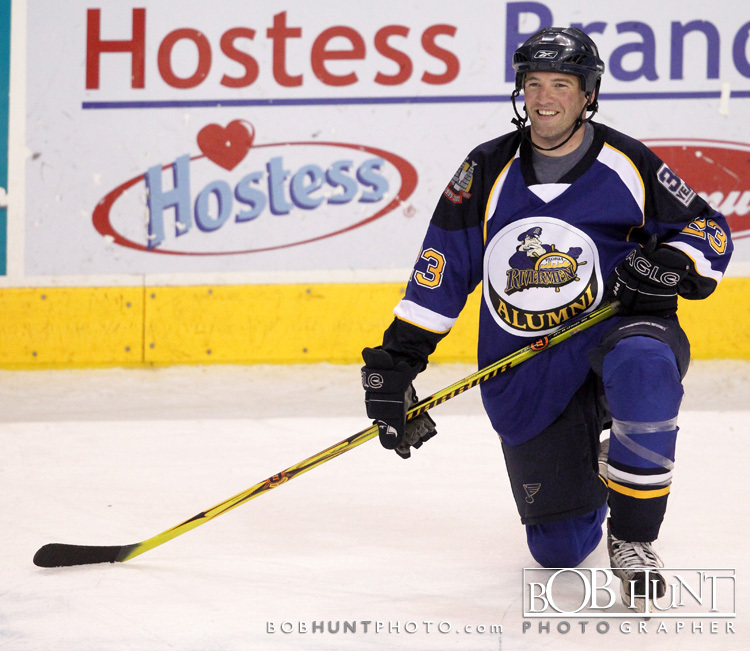 Retired Peoria Rivermen center Tyler Rennette was inducted into the Hall of Fame Saturday night in a on ice ceremony at Carver Arena between periods of the game between the Lake Erie Monsters and the Rivermen. 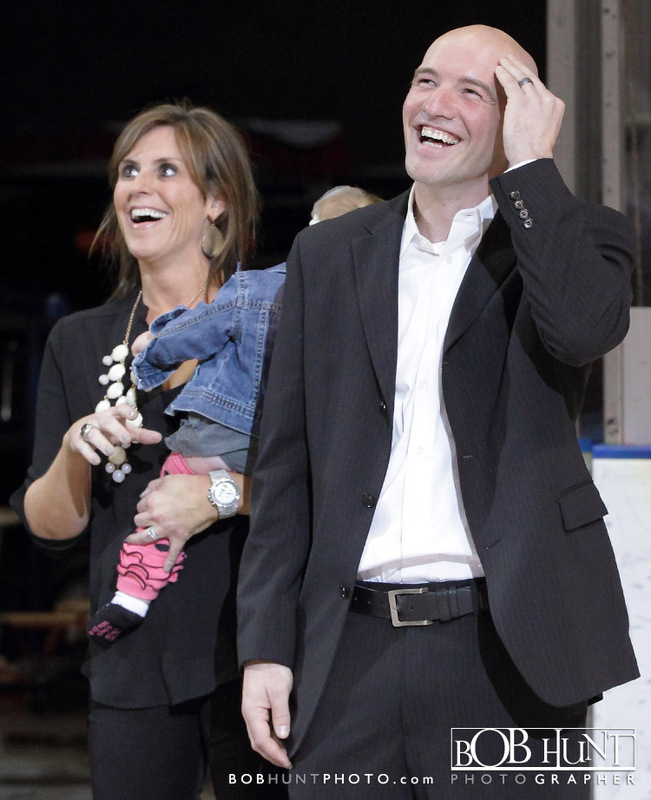 He was surrounded by his wife and three children. 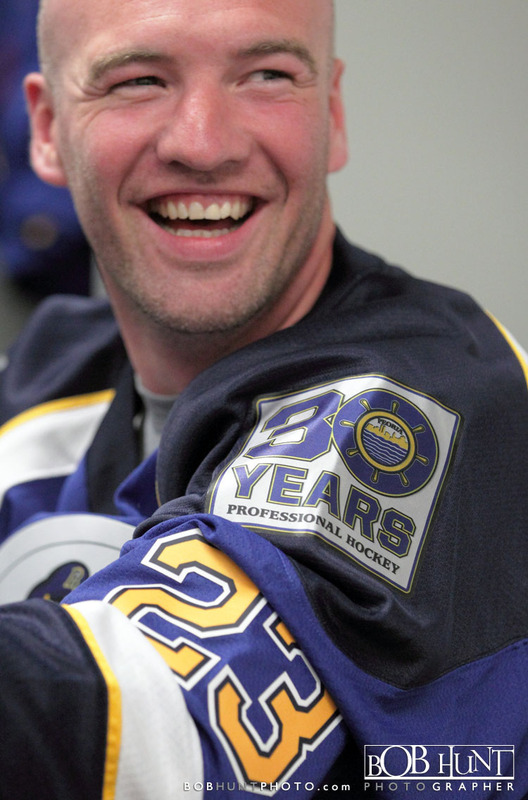 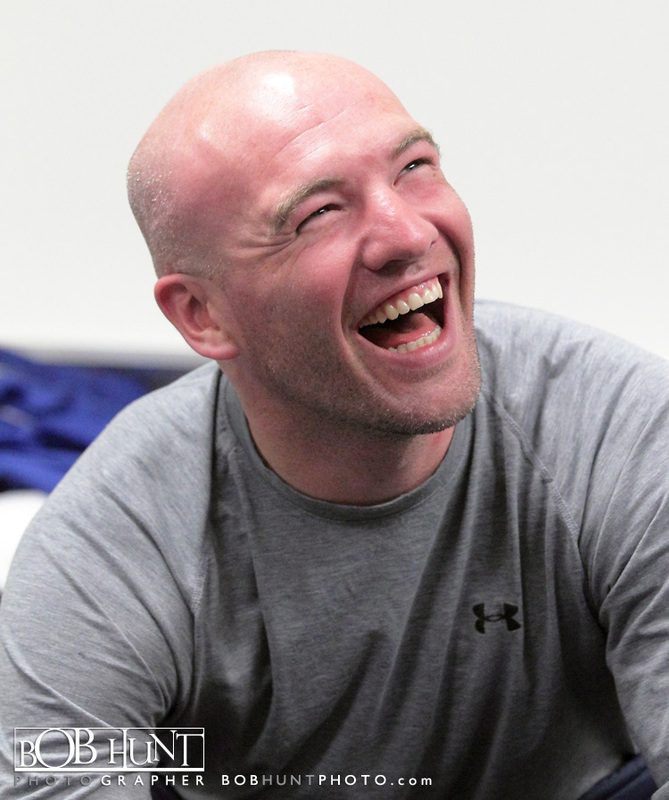 He was selected by the St. Louis Blues in the second round #40 overall in the 1997 NHL Entry Draft. 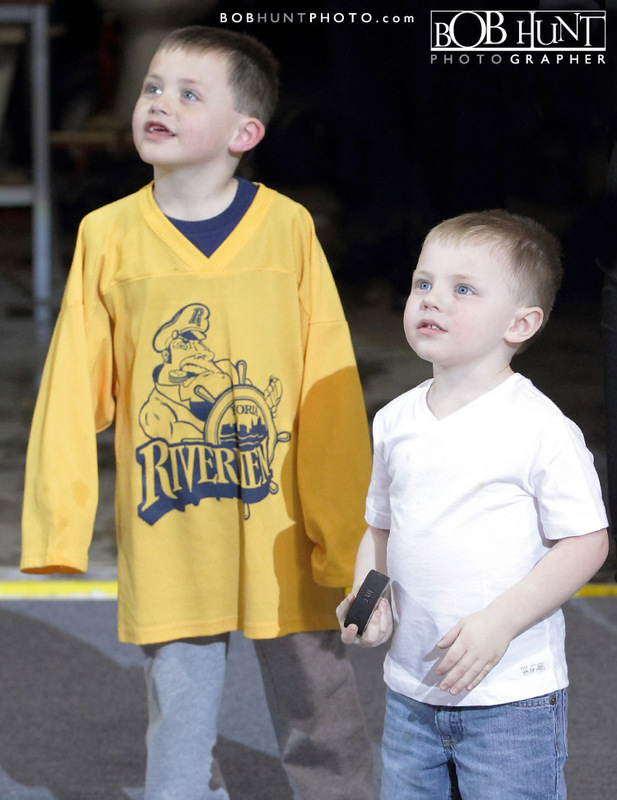 Enjoy photo’s from his induction and some shot’s from the 30th anniversary Peoria Rivermen alumni game played March 23, 2012.